Subtle details and luxe leathers make the Born Tinetto the versatile shoe you've been looking for. This unique Born shoe features a slip-on design with elastic goring for a flexible fit and on/off ease. The distressed suede upper and Opanka construction of the Tinetto create a light weight feel and allow for long-lasting wear. The leather lining remains breathable for a dry and comfortable interior environment. 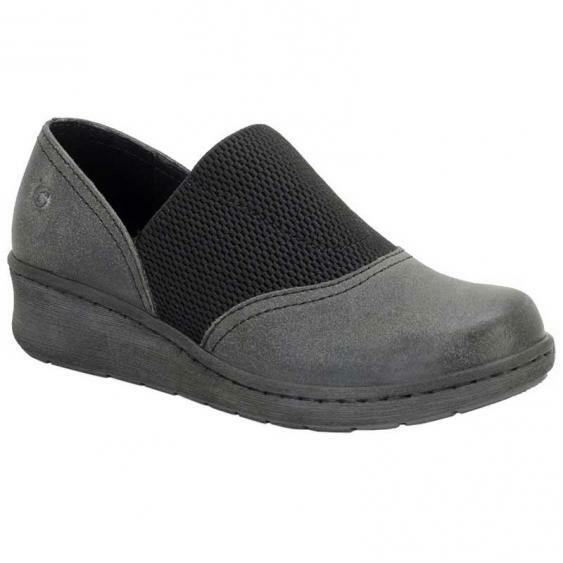 With an EVON plus outsole and slight wedge heel you’ll be surefooted on any surface. Pull on a pair of the Born Tinetto slip-ons for a perfect finish to your outfit.